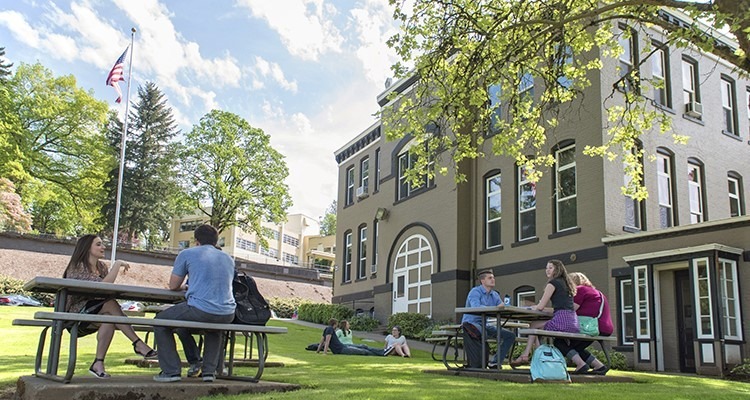 Salem, Ore. – Corban University has announced several changes to its programs and offerings, specifically in the following majors: Health Science, Exercise Science, Psychology, and Business. These changes come on the heels of an intensive academic review, conducted by Corban’s faculty, deans, and Provost, in order to ensure that each program best suits students’ needs, preparing them for careers in their chosen fields and/or graduate school. The B.S. in Health Science will now be a B.S. in Biology (120 semester credits). This change was made in an effort to expand offerings beyond those relevant to a career in medicine. Now, students will have the option to earn a general biology degree, with a heavier focus on plant science, in addition to the pre-existing concentrations in biomedical sciences and biokinetics. Students will now be prepared not only for medical school and physical therapy programs, but also for careers in agriculture, environmental sciences, and ecology. In addition, Corban will be offering minors in Chemistry (22 semester credits) and Biology (23 semester credits). The B.S. in Exercise Science will now be a B.S. in Kinesiology (120 semester credits). Although most changes to this program are small, the Sport & Recreation Management concentration, previously housed with the Hoff School of Business, will now be housed with Kinesiology, providing a stronger exercise and sport background while still giving students a solid foundation in business. In fact, the collaboration between the business department and kinesiology department is one of the hallmarks of this concentration. Meanwhile, Applied Kinesiology will offer students a more clinical approach, preparing them for graduate school in areas like occupational therapy, speech & language pathology, chiropractic medicine, and more. The B.S. in General Psychology and B.S. in Pre-Counseling/Clinical Psychology will be combined into a single major, a B.S. in Counseling Psychology (120 semester credits). Previously, the General Psychology degree prepared students for a career in research, while the Pre-Counseling degree prepared students for a variety of helping professions or a master’s in counseling. But the vast majority of psychology students come to Corban seeking a degree that will prepare them to make a direct, immediate impact in people’s lives through counseling, social work, and community agencies. Thus, shifting to one Counseling Psychology degree will enable Corban to hone this program into one that more effectively meets students’ needs and prepares them to achieve their goals. Corban University is already one of the few schools to offer such a counseling-heavy degree at the undergraduate level, and this distinction will only continue to grow with an array of new counseling concentrations, including Child & Family, Marriage & Family, Community Engagement, Trauma & Addictions, and Christian Counseling. Finally, the Hoff School of Business will now have an additional concentration in Business Analytics (18 semester credits). This concentration joins four existing business concentrations: Leadership & Management, Marketing, Accounting, and Agribusiness. These changes are largely small adjustments to already-strong programs, yet those small adjustments will make a huge difference setting students up for success in their careers and graduate school. Additional programs, specifically at the master’s level, are currently in review and pending approval. Stay tuned to learn about additional program developments!